Coral Cove 6 The Ivy, Barbados. 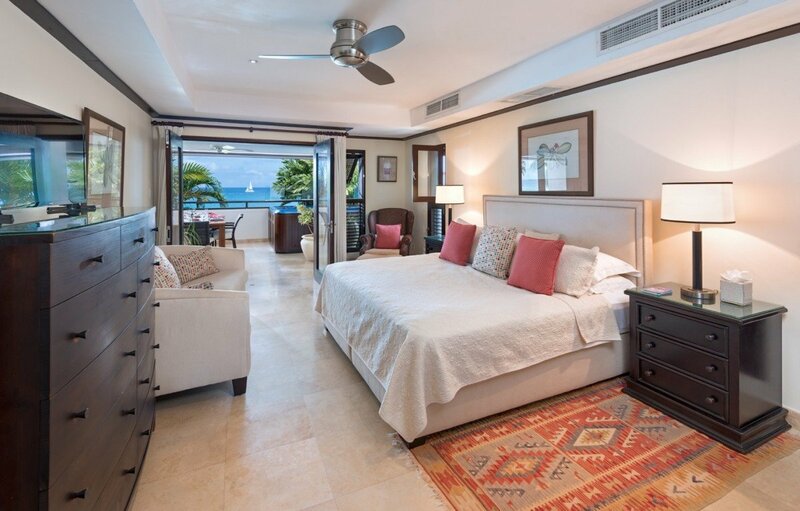 Do not let the term holiday condominium fool you, the Villa Coral Cove 6 is an enormous, luxurious and beautifully designed property that offers the best of all possible worlds. 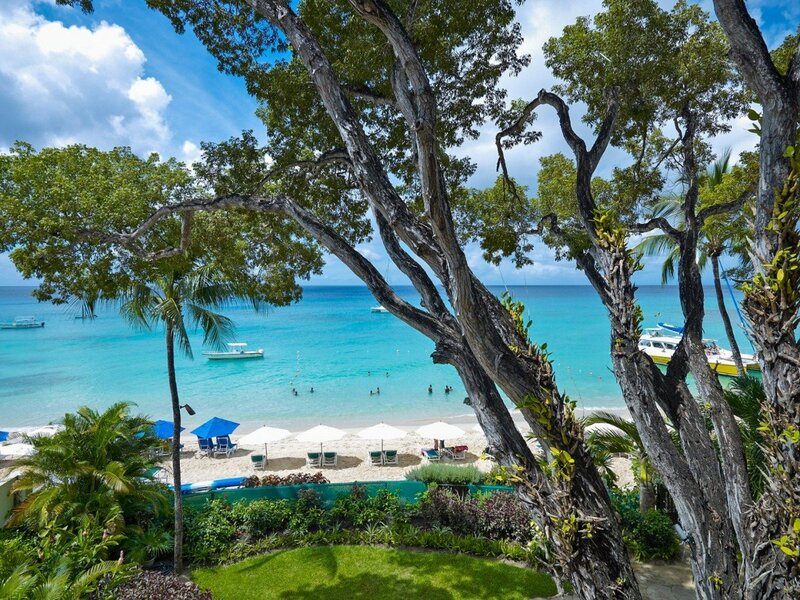 Situated directly along a stretch of private beach in the Paynes Bay Beach area of Barbados, it is also part of the popular St. James region. That means it is moments away from world class shopping and dining, sightseeing and even golfing. 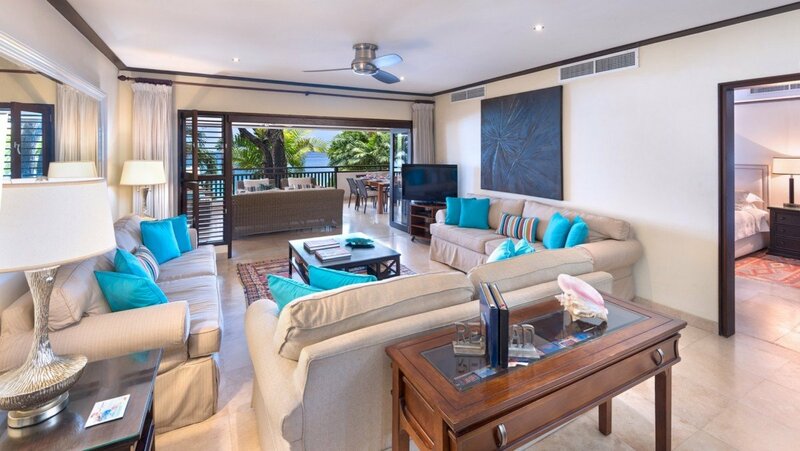 However, with the fully furnished and private beach, plus the luxuries in the villa itself, you may find that you have no need to wander or explore. 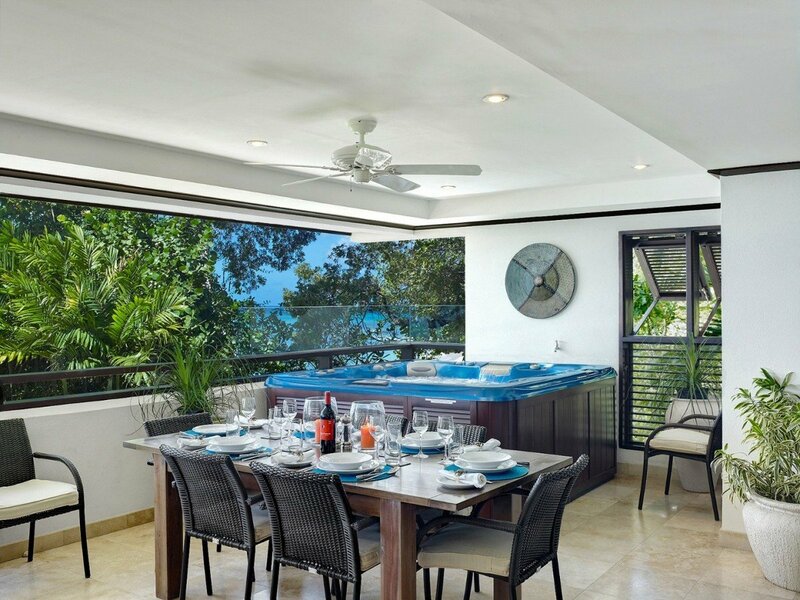 Unlike many condos, this luxury villa provides you with an unimpeded and unmatchable view of the sea and the beach below. 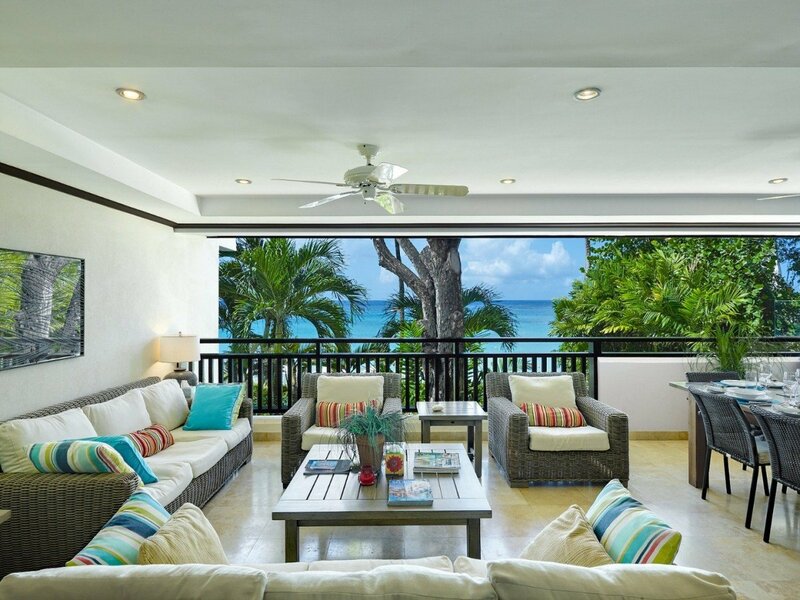 You savor this from your enormous and totally private terrace. Large enough to be a fully furnished, outdoor living space, it features a massive al fresco living room, full dining room and a large and private Jacuzzi. It opens into additional living spaces via the floor to ceiling doors. These create an open-air atmosphere that allows the sea breezes and all of that scenery to be enjoyed from any part of the great room. Inside, there is a beautifully decorated living room and entertainment space, a more formal dining room, and a remarkable, modern kitchen. 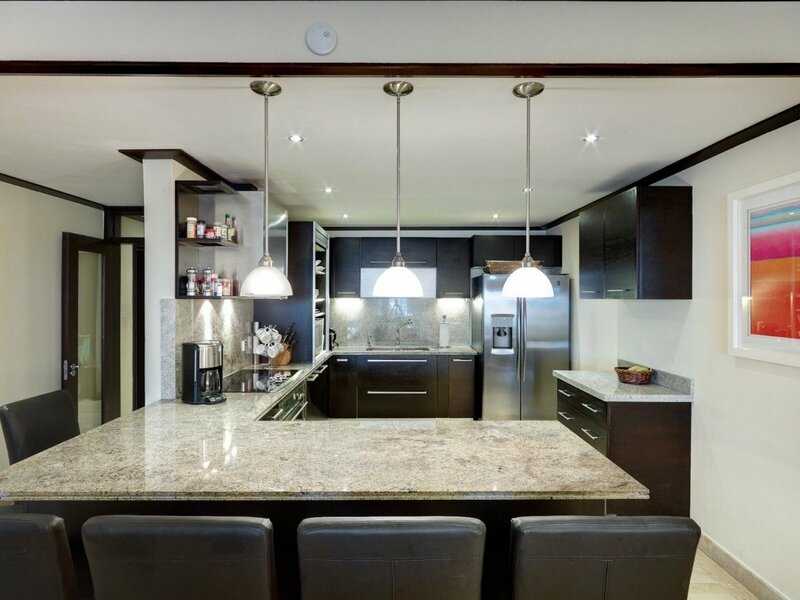 Created to satisfy even the most discerning cooks, it features the very best appliances and even gazes out to that amazing view. The three bedrooms are an ideal match to the rest of the property. 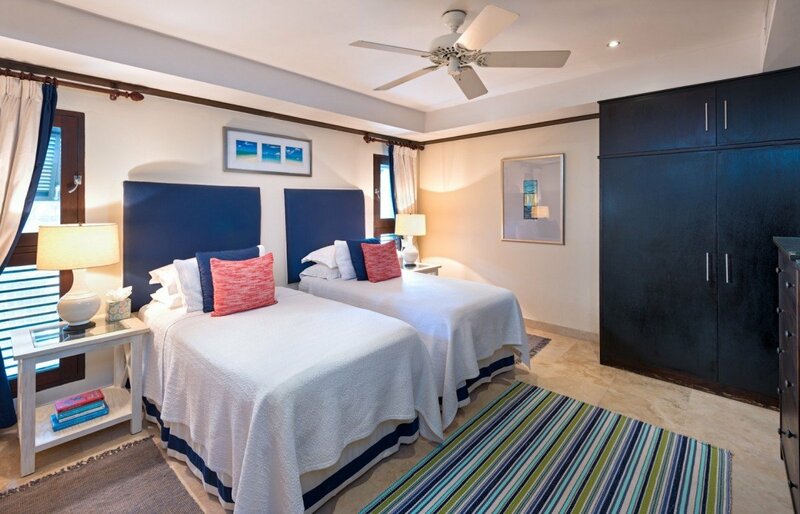 The master suite has a king bed and enormous ensuite bath, plus it opens to the Jacuzzi area of the terrace. The rest of the suites are double suites and each feature a large bathroom. 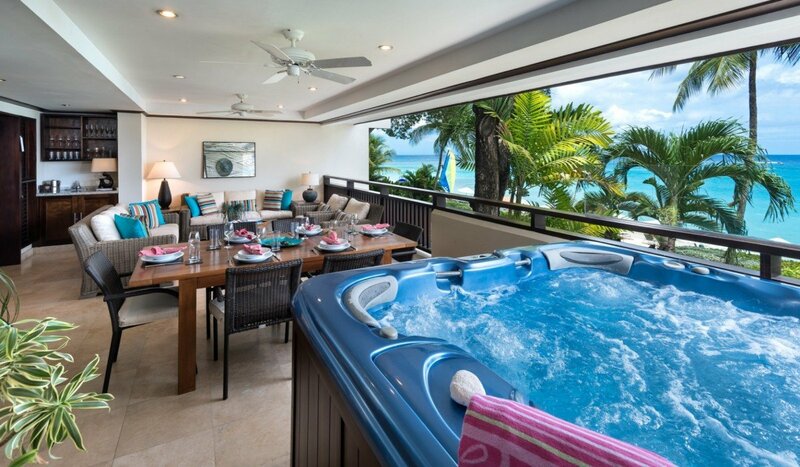 With so much to offer, the Villa Coral Cove 6 is sure to please a family or group of friends and make for an unforgettable experience of Barbados. Bedroom 1: Master bedroom with a king-size bed, A/C, ceiling fan, TV, access to terrace and en-suite bathroom with bathtub, shower, vanity and WC. 2 guests maximum. 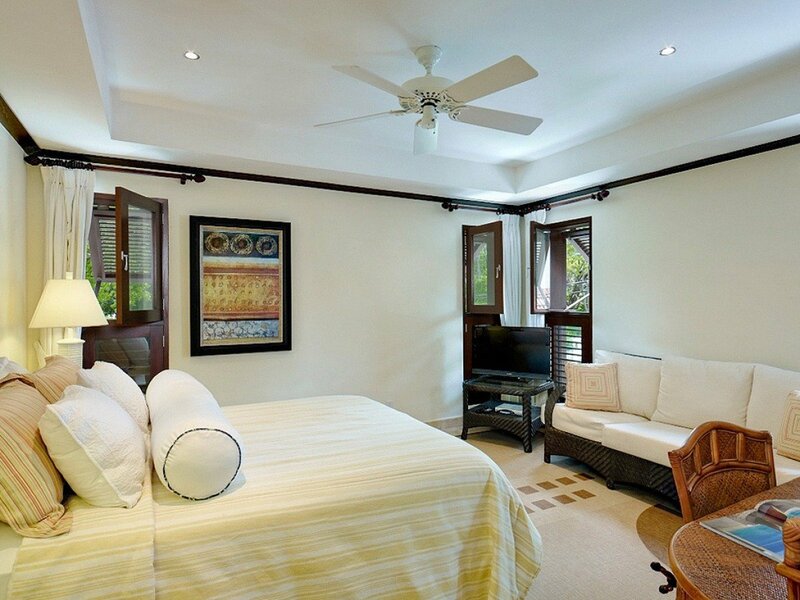 Bedroom 2: Bedroom with a queen-size bed, A/C, ceiling fan, TV and en-suite bathroom with shower, vanity and WC. 2 guests maximum. Bedroom 3: Bedroom with two single beds (can be made up as a king-size bed), A/C, ceiling fan, TV and adjacent bathroom with shower, vanity and WC. 2 guests maximum. 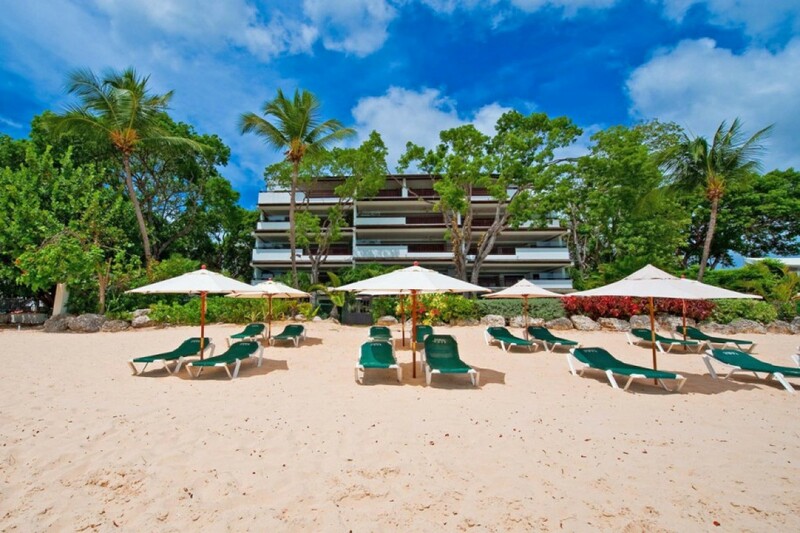 Coral Cove 6 The Ivy is offering 5% off for travel between April 15, 2019 and June 30, 2019. When we walked in to The Ivy we were blown away with the beauty of the condo. Quite contemporary with an amazing covered deck overlooking the beach. The sound of the waves only heightened the pleasure. We were greeted by Pam who is the housekeeper. Just a super sweet lady who takes care of the place while you visit. We even had her cook for us one night and she made us her pumpkin soup specially along with a whole chicken and Mack pie. Was a fantastic meal. So nice to return from a days adventure to the table all set and warm, fresh, local food for dinner. There is a supplement fee for her to cook for you but it was totally reasonable. The kitchen is a great place to cook if your not going out every night (definitely gets expensive at restaurants). There is a Hot tub on the deck which we never used as we are ocean loving people. The beach out front is a beautiful sandy beach with just a bit of small coral pebbles in places but not sharp so no worries about cutting yourself. 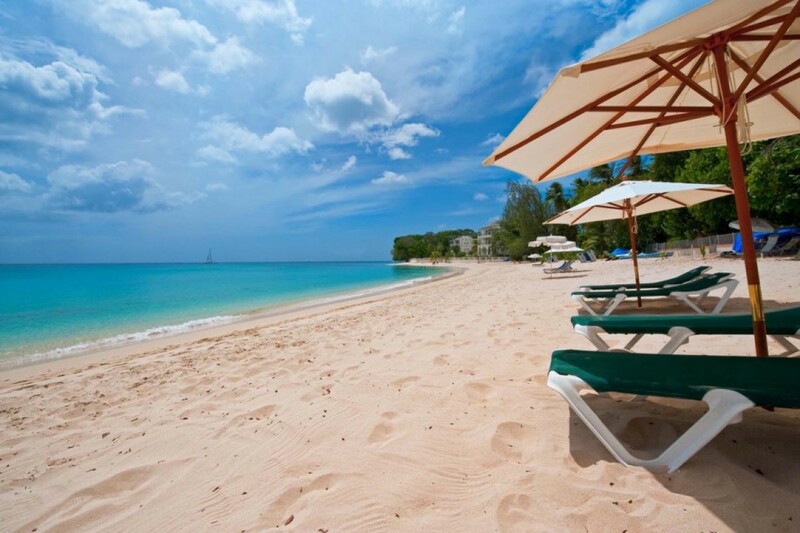 There are beach chairs and umbrellas for exclusive Coral Cove use and we never had trouble getting 5 for our group as there are plenty for the building. About the only downside of the location is that a few catamarans come into the bay to anchor and sometimes the music is a bit loud but we actually enjoyed the music so no big deal. There is also construction happening next door which you may hear from time to time but it wasn't to much of a bother. Overall highly recommended. If and when we return, we would stay at the Ivy in a heartbeat.